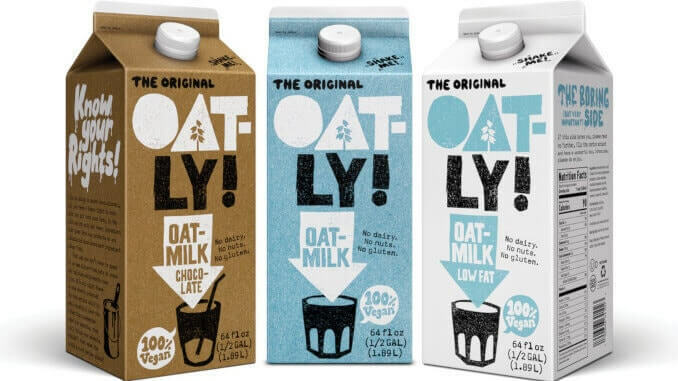 The Swedish company Oatly AB, which manufactures and markets plant-based and vegan dairy alternatives, has recently announced that it is investing several million dollars in the construction of a new processing plant in Millville, USA. According to the company, the reason for this expansion is increasing consumer demand for plant-based foods in the United States. The new production facility is already under construction, and will be approximately 19,000 square meters in size. According to the company, the new plant will increase production capacity eightfold. The plant is specially designed for the processing of oats, from which a paste-like base material is produced which can then be delivered to various manufacturers. General Manager Mike Messersmith says, “We hope that this is only the beginning. We want to further expand our business.” In autumn 2016, Oatly entered the American market for the first time, and has since been supplying coffee shops with oat-based products to compete with the established almond and soy milk products. Oatly’s customers now also include many grocery stores and, according to Messersmith, demand far exceeds current production capacities. Click here for a detailed vegconomist interview with Oatly.